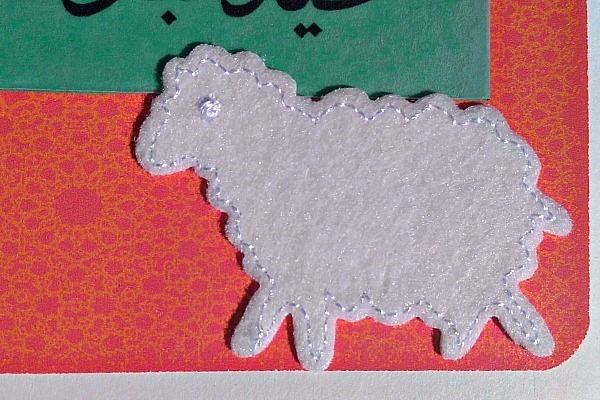 This beautiful red and yellow arabesque floral background was a perfect match to this adorable sheep looking for green grass. 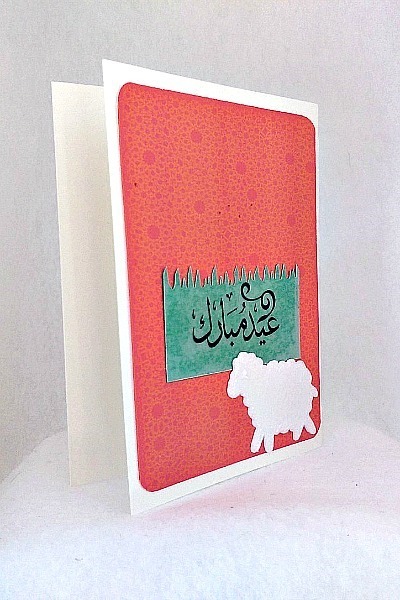 The wods Eid* Mubarak are written in Arabic on vellum, which has been placed on green cardstock that has been shaped into grass. 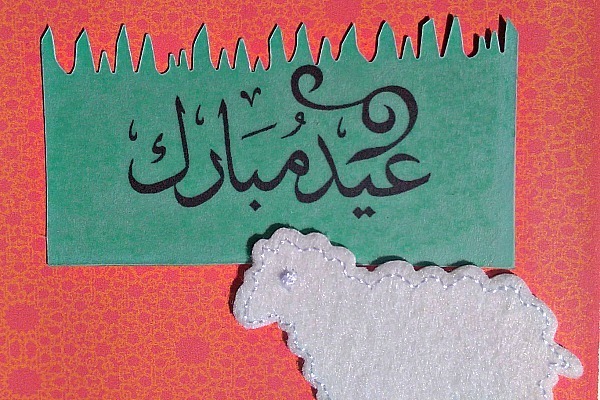 *Eid, meaning "festival" or "holiday" in Arabic, can refer to a number of Muslim holidays, including Eid Al-Adha and Eid al-Fitr. The word itself is also used for Mother's Day, Christmas, Birthday, etc. 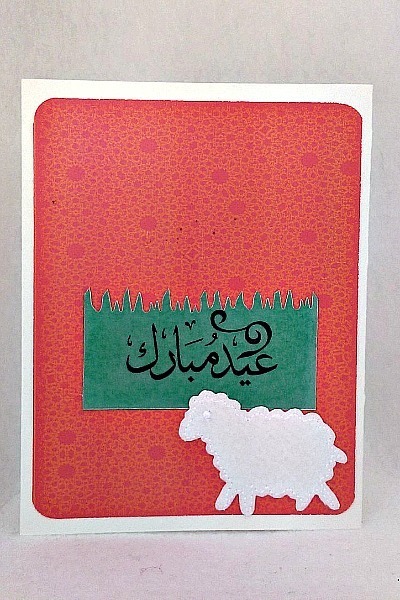 Eid Mubarak means Blessed Eid.